A selected experience for dads and their kids to enjoy tank driving together. This special tank driving experience is hand picked for dads to take their kids along and share the fun. How’s that for a bit of male bonding? You’ll get to ride in a real army tank on a real army bomb range in Leicestershire and fire a mighty 40mm cannon loaded with paintballs. Dad can drive, and the junior soldier will have his hands full firing the massive cannon. There’s even a firing range for you to get some target practice. And kids of 16 or over can have a turn at driving the monster tank too while dad shows what he’s made of on the big gun. 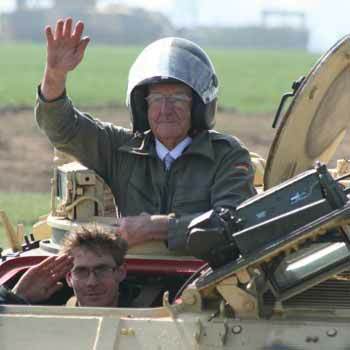 Something to tell them back at school, a tank driving experience to remember. 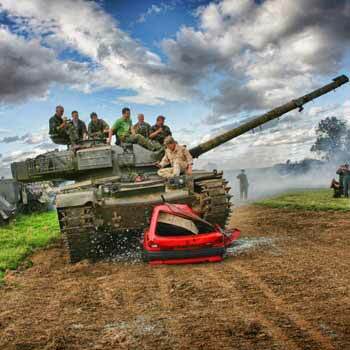 Your son will absolutely love this tank driving experience and be the envy of all his mates. This will be a birthday present to remember for years to come, and just think how the photos will look on facebook. And if you buy a lads and dads tank driving experience, then video it and send us the youtube link, we’ll even put the video up on here for you. How’s that for fame! 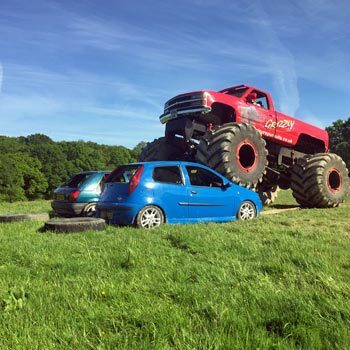 This fantastic experience is available from a couple of the top experience day providers who are famous for their extreme sports days, bungee jumping and adrenalin fuelled activities. At under £100 it makes a very affordable birthday or Christmas present. We’ve tried it and our kids haven’t stopped talking about it since. Our real time price checker gives you all the “Lads and Dads” on offer, but they’re all the same experience, so we’d advise you to just pick the cheapest. You are currently browsing the archives for the Try something different category.